Are you looking for a reliable Palm Coast mover? Look no further because we have everything you need. The population of Palm Coast is growing rapidly. Did you know that Palm Coast has doubled its population in the last decade? So, it is no wonder why so many people are looking for good movers Palm Coast options, but truth is that not all of them are the same. D2D Movers is a locally owned moving company with excellent reputation. At Palm Coast Movers we specialize in moving apartments, houses, local moving, commercial moving and office moving. We have worked hard to build excellent reputation and brand name that means a lot in the world of moving business. So, when you are searching for moving companies in Palm Coast, take us into consideration. D2D Mover, has been a respected member of the moving community in this area for many years. Over all these years we were able to grow and expand and meet specific moving requests. Today, we can freely say that we are following the highest standards in this business which is why we have an army of loyal clients. 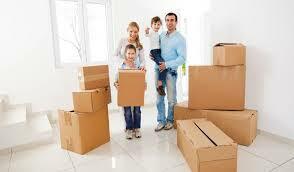 All our clients’ moving requirements and needs are managed with care by our experienced moving staff. Every employee that is part of our team is carefully selected, screened and trained before they start working. We have experience, equipment, and tools to handle any type of items including expensive and custom made items. So, in case you have specific moving needs, feel free to contact us at any time to get a free estimate. Palm Coast Mover has a workforce that includes professional movers. Our team is insured and bonded. On top of that, we have a fleet of few vehicles in a wide range of sizes, so you can rest assured that your moving needs are taken care of in the best possible way. We accept both small and large moves in Palm Coast and in case you need to move from one place to another urgently we can probably help you. As we said, our goal is to help all of our clients regardless of their moving needs in Palm Coast area. Whenever you need an estimate, you can call us on the phone or e-mail. There are specific situations in which we are prepared to send one of our professionals to your place in order to make an on-site evaluation. Let Palm Coast Mover be your one-stop shop for all your moving needs in Palm Coast!